Wow its simple. I tried it at home, it was delicious. I tried preparing with chicken. following your procedure, it came amazing. 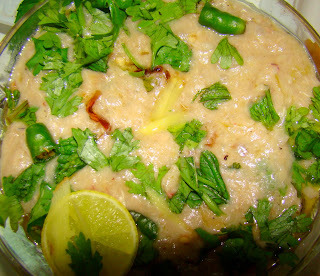 Thanks for this great Haleem Recipe. Unless I read it wrong, when do we add the cashew and almond pastes? oops I am sorry the nut paste is added after the wheat paste will update this info and thanks for bringing this to my notice.